I couldn’t believe. 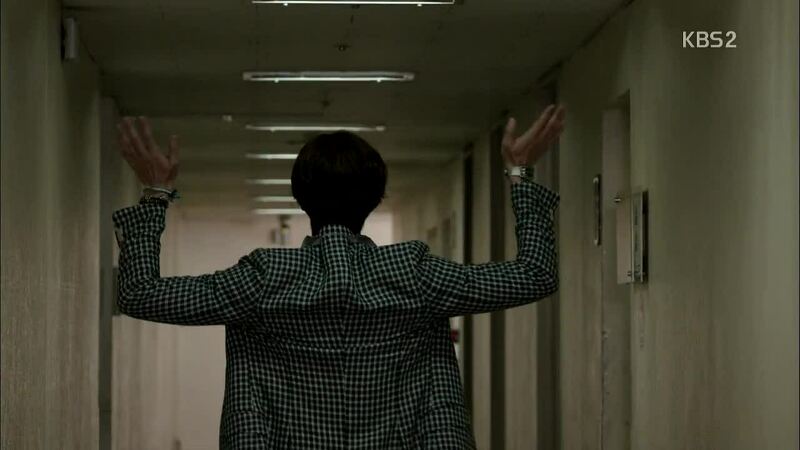 Out of all nights for my blog to not load, it had to be today, the day of the finale of Trot Lovers. It was like the drama gods were laughing at me as I frantically reset my computer, tried different browsers, cleared my cache, reset my internet, ask Twitter friends and Softy for help…almost everything I could think of to get my blog to load. It just wouldn’t work and before I burst into tears, Softy suggested that I email her my live recap so she can post it on episode 15 comments. Thank you, Softy, you saved a soul. After finishing the live recap, I tried the once last thing I could think of, which was to disguise my IP. And here I am, with a proper recap post. The drama gods had mercy on me. Thank you, everyone, for your patience! Below is the live recap. As usual, I will update and edit as I re-watch the episode in the next hour. Comments and screencaps will follow. Please stay tuned. Outside the restaurant where the future in-laws are supposed to have their first meeting, MS has finally caught up with the woman he has been looking for. MS tries to drag HS to the police but HS begs on her knees. She asks MS to stop, for her son, JH; he is a singer and can’t have his mom in and out of the police station. CH overhears the whole conversation. Inside the restaurant, JH waits, wondering why CH is coming back. It’s nighttime now. JH calls CH, but CH isn’t picking up. She ignores his calls as she sits in front of her house, remembering her mom- her mom not being able to talk, people making fun of her mom, mom looking longingly at a trot singer on TV. CH finally picks up JH’s call. She lies that her dad suddenly became ill and they just decided to come home, but he is fine now. JH asks if her dad is okay, concerned, and CH tells him that dad is fine. She will call him back later. HS comes home, drunk, and tells JH that she can’t allow the marriage, explaining that she doesn’t want JH to have to take care of CH’s whole family. JH meets CH the next day at a cafe. He tells CH not to worry about his mom, he will convince her. Then JH asks about her dad- is he not feeling well? Her expression isn’t good. CH just quietly suggests that they go on vacation somewhere. TS is watching JH pack for his trip and is jealous. He offers to give JH a few pointers. When a woman and a man go on vacation together, make sure to share beer late at night. The woman will become more drunk and start looking expectantly at the man. Right then, all the man has to do is- TS licks his lips in demonstration. The woman won’t be able to hold back and jump the man. That is what that woman did. JH asks which woman did that. TS realizes his slip. JH and CH go back to their stream. They enjoy the day together and later at night, they cook dinner by the campfire. After dinner, JH plays the guitar and sings CH a song. CH looks on happily. Later, they huddle under a blanket together. CH quietly says to JH that she asked to come here because she had something to discuss with him. They sit face-to-face, holding both hands. JH asks if it is something serious, and CH confirms. CH starts telling him that on the day of the in-law meeting, she saw MS and HS fight. JH asks if their parents knew each from long ago. CH replies yes. He asks what they fought about. CH says she doesn’t really understand what happened but she thinks JH should know about what happened that day. CH has trouble continuing, which JH notices. JH asks if it is something difficult for her to say. CH tears up and says yes. JH offers to find out for himself then. CH nods, a little relieved. JH cups her face gently. JH enters his building. Yang is waiting for him. She confronts JH, saying he deceived them. JH corrects her- she and SI are the ones who deceived him. Yang blames JH for making SI like this. JH says it is Yang’s fault that SI is that way. Yang claims she did this all for SI, living only for her daughter. She starts saying bad things about CH and JH tells her to stop, CH is the woman he is marrying. Yang scoffs and says they can’t marry. She tells him that CH’s mom was hit by HS. JH doesn’t believe her, though, and tells her to watch her mouth. Yang tells him to go ask his mom then. JH storms into his house. He asks HS if she knows CH’s parents. She lies no. JH asks her to tell him the truth- did she do something bad to CH’s mom? Did she hit CH’s mom with the car? HS starts stuttering, saying it wasn’t like that, that she wanted to take SJ to the hospital. JH can’t believe what he just heard and storms out of his house. Next day, CH and JH sit together at a cafe. Before CH can say anything, JH says to her, “Shall we take some time off to think?” CHS is surprised. JH explains, “I heard from mom yesterday. In this situation, we won’t be happy even if we are together.” Tears fill CH’s eyes. JH continues, “This is hard to say. You must have had a difficult time.” He tells her, “Don’t try so hard. I will do all the difficult things. Leave it to me.” JH leaves, and CH cries silently. At coach’s restaurant, PN finds TS’s phone by chance, and curious, calls the contact titled “Oh My Goddess.” She thinks that ID is referring to her, except the call goes to coach’s phone. PN also finds out her number is saved under the ID “Bucket of Nonsense.” PN calls TS over and tries to choke him in anger. She gets a call, however, from an agency that wants to sign TS and PN. TS is happy, saying things have been going well for him since he met PN. PN demands to know why he calls her “Bucket of Nonsense,” then. TS is on the phone, apologizing for JH canceling his appearance again. “He is sick,” TS explains. It looks like JH is really sick, in the heart, because he just keeps playing his guitar and singing, “I’m going crazy.” TS pleas with JH to get a hold of himself. CH comes home and sees that her dad is sleeping. She sits next to him and tells him that tomorrow is the final round of the audition show. She is nervous, and at times like this, JH was always there. She asks for dad to cheer her on tomorrow. “But dad…what can I do? I really miss JH.” Dad is actually awake and he has heard everything she said. Next day at the recording of the final round of “Voice of Trot,” CH sings the song “Life.” She has picked the song because there has been many happy, sad, joyful, and difficult moments in her life after starting to sing trot. The song expresses all of that. CH sing the song beautifully. JH and TS listen to the radio in their car. TS thinks it is someone who sounds like CH, but JH can recognize it is CH. He smiles to himself. The results of the final round are out. The final winner of the “Voice of Trot” is MJ! CH wins! The radio host reveals to the listeners that MJ is actually CH. CH thanks the viewers. She promises to continue to work hard. The host also reads listeners’ support message for CH and they are from people that helped her or was helped by her in the past with her trot song. JH continues to listen in his car with a smile on his face. CH runs into the composer from before, the one who had the wife with Alzheimer’s. He encourages her and CH is grateful. CH asks about his wife and he tells her that his wife has been doing better after she met with CH. The composer gives a gift to CH because he is grateful. CH accepts happily. She sits on the bus and hears on the radio news about her winning the survival audition show and how the song she sang is being replayed over and over again. CH can’t contain her happiness. People have come to CH’s house with gifts. They are her fans, here to support her. They are all ahjusshis and ahjummas. They are really sweet to CH, and CH sings for them happily. JH watches her from afar. She sees him and they share a look. JH leaves. CH lets him go. Farther away, JH says to himself, “CH, you are living your life the way you want. I will try to do that for myself too.” He is proud that CH succeed by herself, in her own way. At home, JH suggest to HS that they go back to America together. A major label had asked before to work with him. MS sits with Jo. MS informs Jo that he meet HS. Jo says he should have investigated into SJ’s accident properly at that time. He regrets not doing so. He has been wondering these day if there is more to that story than they know. He tells MS all about what Yang did to CH. Yang yells at Wang (finally we see him!) for not being able to find SI. They need to find her before the police do. Wang asks they can call any of SI’s close friends- who are they? Yang, realizing she doesn’t know any or know if SI has anyone like that, replies that she doesn’t know. Wang is surprised. Then, they need to file a missing person’s report with the police but Yang doesn’t want that. Wang asks if Yang has checked SI’s credit card records. Nope, Yang didn’t. SI is somewhere, alone, relaxing and enjoying the summer night. She texts GW to ask if he has time tomorrow. The next day, SI meets up with GW and they go eat tteokbokki at a street vendor. GW notices that SI is really enjoying the food and she tells him that she never got to eat it while she was going to school but really wanted to. Lady comments that the two look like a couple. GW asks her if he and SI look good together. SI tells the lady that he is just her boss. GW is about to pay but the lady doesn’t take credit card so SI has to buy the tteokbokki. Walking together, GW asks what SI did away from Seoul. SI said she did all that she wanted- sleep in, eat everything, read comics- but it only filled up two days. She is surprised that all the things she denied herself for so long only took two days- what has she been living for until now? GW replies that this is life. SI tells GW that she will go herself now. GW offers to go with her. SI declines. GW says. “When you return, let’s eat tteokbokki together. I will buy this time.” SI nods and assuredly walks away. Wang calls Yang to tell her that that he found SI’s credit card used for a hostel in Gangwondo. Right then, SI texts her mom to say she is turning herself in right now. Yang runs out to go to SI, but MS is there in front of her car, waiting, and he demands to know, “Were you there with HS in that car that day? You’re the one who left SJ there, right? !” Yang denies it at first but as MS pushes, she confesses. Yes, she is the one who left SJ there. She did it because, at that moment, she thought it would be good if SJ disappeared. She sang as much as SJ, but she was always behind her. It’s already been 20 years, and it’s not like SJ died. MS yells that taking the voice of singer is like murder. Yang pushes MS hard and he falls, in pain. Yang leaves MS on the floor, like the way she must have left CH’s mom. Yang is now at the police station and begs SI to stop, to say her mom did it. SI gently clasps her mom’s hand and says, “It’s all over now.” SI goes off with the police. JH goes to CH’s waiting room at TV station. People around them say something about them being couple, teases them, asks them to take picture. They just calmly along. It’s the day of the concert for “Voice of Trot.” CH is in the waiting room getting ready when JH walks in. He is there to perform as a guest at the concert. Other people there tease them about being a couple and asks for the to take a picture together. They oblige, even though things are a little awkward between them right now. 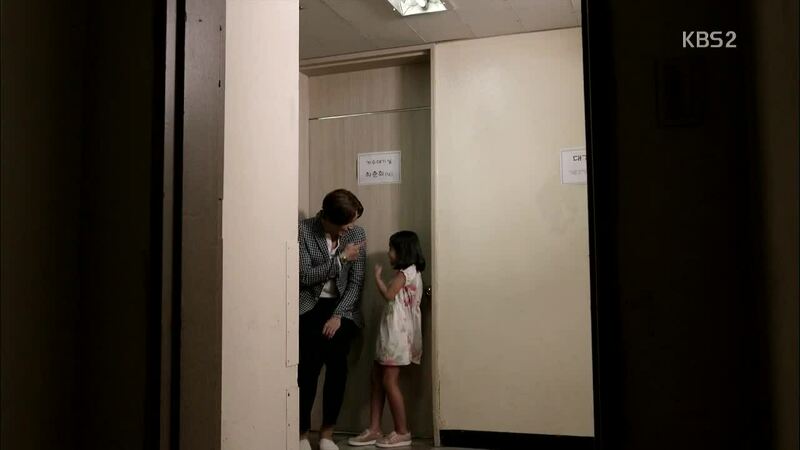 Right before the concert starts, CH gets a call from the hospital saying that her dad need to go into surgery now. CH starts running and JH chases after her. CH and JH arrive at the hospital. MS asks CH why she is here, her concert is today. A few minutes later, the nurse says MS will go into surgery soon. CH starts apologizing. She has to leave right now to perform and can’t see him go into surgery later. MS tells her to go. She asks, “Since you are a strong person, you will be able to endure this well, right?” She makes him promise to not give up till the end, as she will perform well till the very end. Coach, TS, and PN come in. CH asks coach to take care of her dad. TS and PN says they will be here, too, and encourages CH to focus on her singing. JH tells CH to go first, he will see MS go into surgery. Since JH is only the guest singer at the concert, he has time till he has to perform. As CH sings, everyone else is at the hospital, waiting in front of surgery room. We see flashbacks of CH’s eventful life as we hear CH sing her heart out. When she finishes, the crowd gives her a standing ovations. CH rushes back to the hospital. Her dad is out of surgery, awake and recovering. CH cries, thanking him for surviving. Yang visits SI in jail. Yang tells her not to lose hope, she will make sure SI gets out of here. SI looks at her mom softly. She says, “I thought till now that you had ruined my life, but it wasn’t that. I think I ruined your life. I am not 14 years old anymore and needed to take care of my issues on my own. I made your life difficult. Im sorry.” Yang cries along with her daughter. Yang walks out the prison and Wang is there waiting for her. He informs her that Congressman Pyo is suing her for defamation. There will also be investigation into all of Yang’s wrongdoings. Yangs says weakly that those things aren’t important to her now, her daughter is in jail. Police approach Yang with a warrant. MS sits with CH and tells her he has something to say, “What happened in your mom’s and my generation is in the past. I think the happiness of you guys, living in the present, is more important.” MS says he should have told her this before but he was only human and couldn’t. He apologizes. He says he thought about this as he was going into surgery. CH takes his hand. MS returns to his hospital room with CH. HS is there. She gets on her knees. She apologizes, “I did something terrible to you and SJ. Thank you for surviving. I’m sorry.” She cries hard. MS walks over to her and gently puts his hand on her shoulder. 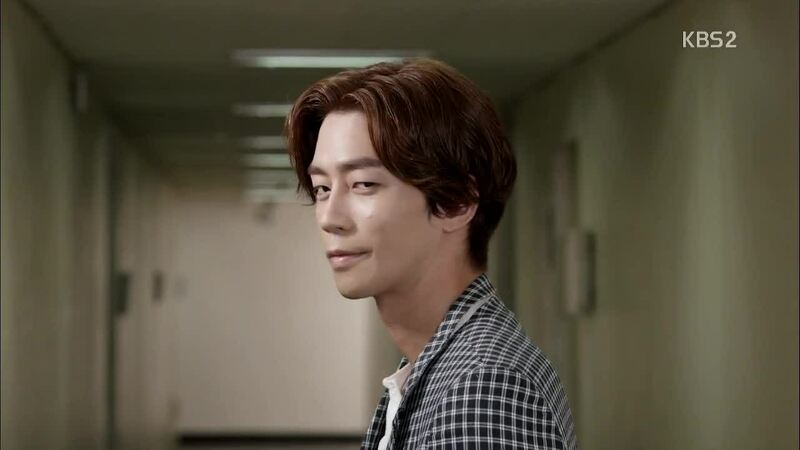 CH walks out of the room and sees JH sitting in the hallway. He gets up and asks if she has been doing well. She nods and asks the same of him. JH replies of course. He came with his mom because she was scared. CH says it is good that those two, HS and MS, resolved their issue now. JH holds his breath before he says, “Between us, I suppose we need more time.” JH tells CH that he is going to the US. CH is surprised- how long? JH says casually, “I don’t know, might just live there.” CH asks worriedly, “Why, because of me?” JH says with a mocking tone, “I am the music god! Lots of major labels want to work with me.” JH warns CH to work hard- in order to date the “Music god,” she at least needs to be the “Queen of Trot.” “You’re not the one waiting for me, I am the one waiting for you. You gum patch.” They smile together. A year later. PN and TS’ CD has come out. It seems the loan sharks are their managers now. TS is now PN’s husband? We find out that PN is expecting. GW and CH shop for food at the market. He is still as strange as ever, a grown made riding the shopping cart. In the parking lot of the market, GW thanks CH for helping him shop. He promises to send a gift to the homeless center in return for her help. Byul and MS see on the news that JH has returned, successfully debuting in the US market. We heard the reporter saying there are rumors of a relationship between JH and his female manager. Right then, the doorbell rings. MS opens the door and is surprised to see who it is. We don’t see that person. CH finds SI waiting for her in the ready room at the station. SI asks if CH has been doing well. CH offers her hand but SI doesn’t it take it. She says she really didn’t like CH before, and truthfully, still doesn’t like her that much right now. CHis about to drop her hand in disappointment when SI grabs it. She says, “However, I admit that I really did terrible things. I am sorry.” She asks CH to also forgive Yang. She will apologize in her stead. SI tells CH that she will start from the beginning again and work hard to become CH’s rival. CH says she will wait. They both wish each other hwaiting. JH has come to GW’s office and JH is acting all coy, saying he will have to see what Shine Star will offer to sign with them again. GW reminds JH that he owes him. He asks JH to go someplace with him. Loan sharks and coach are serving the food to the homeless. CM asks coach if coach met her old first love that he found for her before. She says no. He asks if she will soon. Coach says, maybe, depending on what CM does. CM is ecstatic to hear this and works even harder serving the people. CH continues the story telling game by herself- “And Jang Joon Hyun returned.” Right then, JH comes up and hugs her from the back. “I’m back,” he whispers. CH turns around quickly in surprise. Tears fill her eyes as she looks at JH in disbelief. JH smiles and CH does the same. He cups her face, a familiar gesture of this couple that he hasn’t been to do for a year. They stand, CH’s arms around his waist, his hands caressing her face, happy, whole, and complete. And thus our fairytale ends. It is happily every after with everyone learning their lesson, receiving redemption (even if they don’t deserve it), surviving cancer, remaining as the awesome Daddy-long-legs, becoming superstars, and finding happiness with the person they love. It was a strange fairytale, part Cinderella story, part Little Mermaid, and part Romeo and Juliet. The story never went beyond expectations, and even fell below for some viewers. I didn’t expect or want this drama to be innovative. 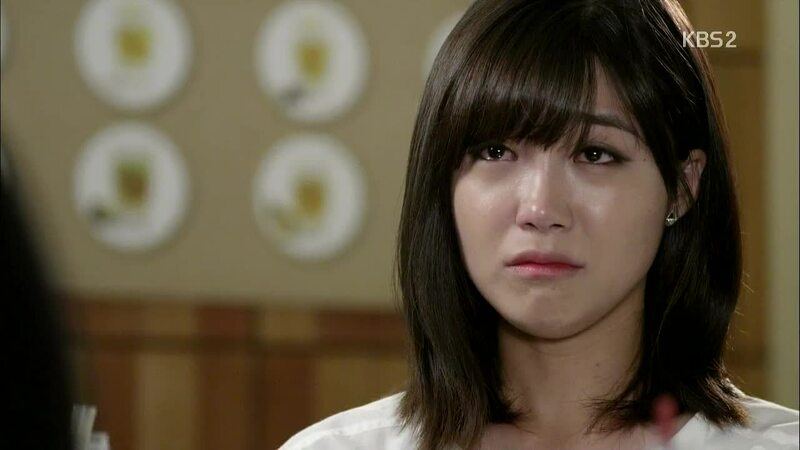 I just wanted a simple and traditional K-drama, but “Trot Lovers” contained too many contrived plot points to keep me as a happy and engaged viewer. 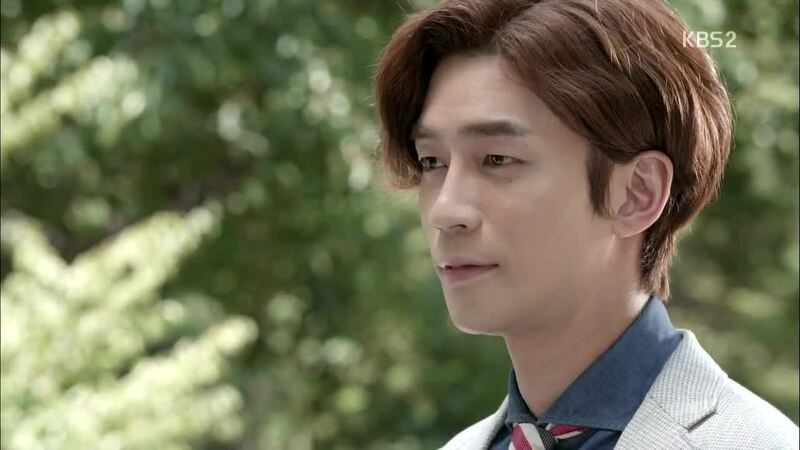 In many instances throughout the drama, I was aggravated, especially with the amnesia and hit-and-run secret. The drama became less about music and CH’s growth as a singer and more about the romance. In the beginning, we had Joon Hyun and Choon Hee learn about music and trot, and what it means to be a real singer, but those lessons where left behind as the drama focused on the romance. 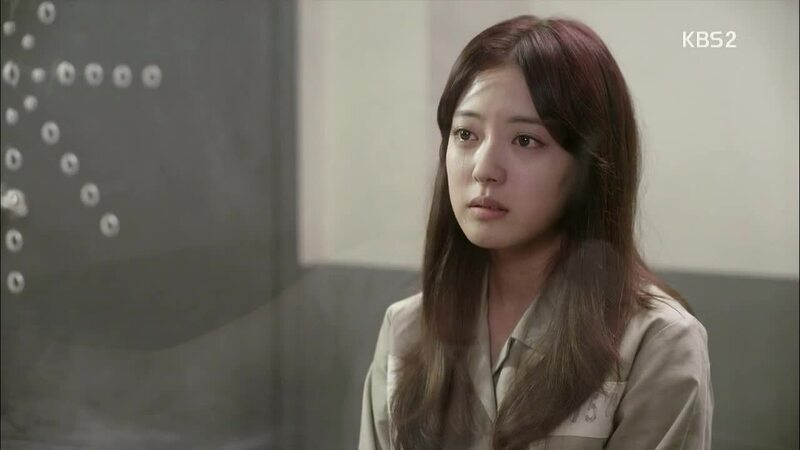 Also to increase the romantic conflict for Joon Hyun and Choon Hee, Soo In was made into an unforgivable villain instead of leaving her as the confused, vulnerable, yet hard working young woman she was in the beginning. “Trot Lovers” suffers from the same problems that so many K-drama face – the haphazard writing, the contrived conflicts, and the subtlety sacrificed for ratings. These issues run rampant in the industry, and I have basically trained myself to focus on the few moments of good and on what the writer was trying to convey, even if they failed. “Trot Lovers” was trying to tell a good story, to deliver a heart-warming message of encouragement and love to its viewers. The drama had moments of clarity in its intention- we saw it when Joon Hyun was with Byul, when Choon Hee sang for the homeless, and when SI finally found her peace. I try to enjoy these types of moments as much as I can, before I am thrust back in the cynical world of amnesia-ridden music gods. And no, I don’t believe Soo In and Geun Woo will end up together. He is just trying to be the best boss he can when he says he will wait for her., recognizing Soo In’s potential. Maybe it was because the drama didn’t have time for the nonsense, but the way Choon Hee and Joon Hyun’s separation was handled was quite painlessly. Choon Hee didn’t pull the “noble idiocy” act of running away from Joon Hyun without telling him why. Instead, she was honest with him, and they both came to the conclusion that they needed time to work through this. It was a mutual and drama-free separation with no wall-jumping to avoid each other, hurtful runs-in, or blatant lies. While Joon Hyun has his initial period of mourning after saying they needed to separate, when he saw how hard Choon Hee was working, he shaped up in order to pursue his own goals. Did Joon Hyun and Choon Hee really have to separate for year? Did Joon Hyun really have to go the US? No, and that is where the drama proved to be so predictable. But it was unpredictable that his departure would be backed by the mutual understanding between Joon Hyun and Choon Hee that they have a future together after the separation. I don’t remember any other separation/time jumps that were so tear-free and didn’t include the dramatic “running to the airport” scene. Can you guys name any others? Thank you for recapping this, Joonni. I was disappointed with this drama but I’ve been disappointed in JHW’s choices before so not a big deal. Doesn’t change my love & adoration for him one bit. *keke* Praying he’s happy & healthy. Personally, I am glad to have watched this show because of Eun-Ji’s insane singing talent. I have found myself often replaying those bits even if many others sucked. Thanks, tessieroo! 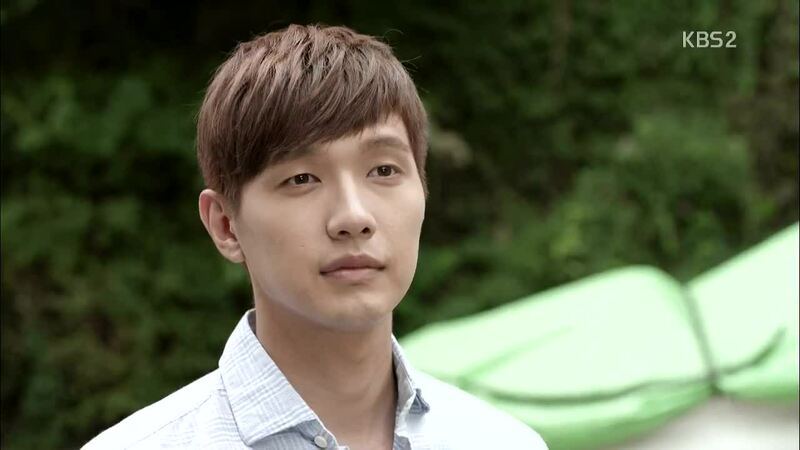 I really hoped this would be a good project for Ji Hyun Woo, but alas! Hopefully we will see him a fusion sageuk soon! I agree with what you said 100%! Thanks Joonni for the translations and live recap. 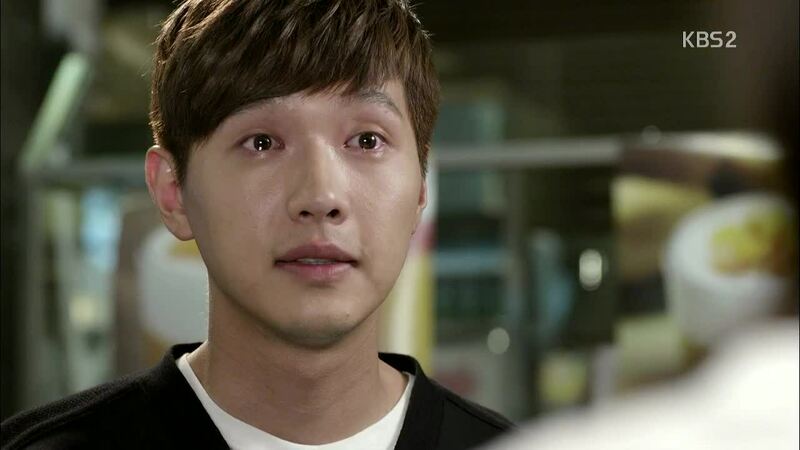 I do hope Ji Hyun Woo will get to take part in a more engaging role next time. tvN production would be good. At least there is some kind of quality consistency there! Thanks, Dora! It was great to read your thoughts and I am happy you enjoyed the ride. Thank you always for your encouragement! Could someone post the entire translated lyrics to that song Life? Thanks 🙂 It just gave me the chills and her singing…wow. She should totally be a solo singer, me thinks. So do they end up together?. Yes, during the like last 4 minutes of the show. I hate when they wait until the last 4 minutes. Even more when they wait till the last 30 sec like Faith. But at least it was that long. Her singing was awesome!!! I hate when they do that..At least they end up together. I checked, it was about 2 and a half minutes, so I was being generous. But the trot bit at the end was hilarious, too bad it was so short. Yeah the ending was really cute. And so it ends. Thanks Joonni for your effort 🙂 It’s been a different experience reading your live recaps at 6am (my time) before getting to actually watch the show later in the evening. Ep 16 felt rushed and cobbled together in a way that disrupted the narrative flow, but that just encapsulates this drama – lots of potential, but not written and produced by people who were capable of seeing that potential through. This show was far from anything you might call perfect, but I do believe that every drama touches each person differently. I’ve been watching Kdramas for the last 10+ years, and although objectively I do realize there have been far better dramas out there, something about this one just stirred me a lot more than any other in recent memory. As much as the lazy writing and shameless let’s-get-all-possible-lame-tropes-into-one-drama elements disappointed and annoyed me, I found myself often pushing them aside and just experiencing the core of the story (the simple girl who loves to sing trot and the once selfish and slightly douchy top star who slowly becomes a better person) and its heart. 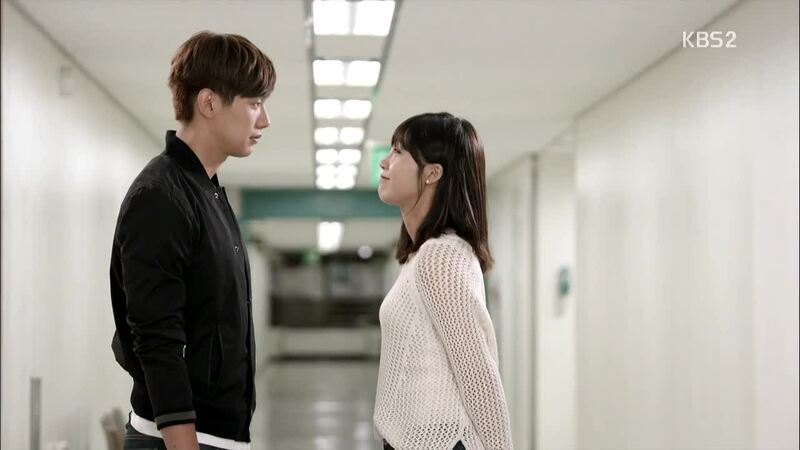 And a big part of its heart was Jung Eun Ji and Ji Hyun Woo. I don’t think I would have been able to enjoy 16 episodes of this without either of them. So here’s hoping that they both end up with better material to work with in the near future. Thanks so much for all the recaps. I loved this drama, even enjoyed watching them after I have read your recaps!!! LOL! 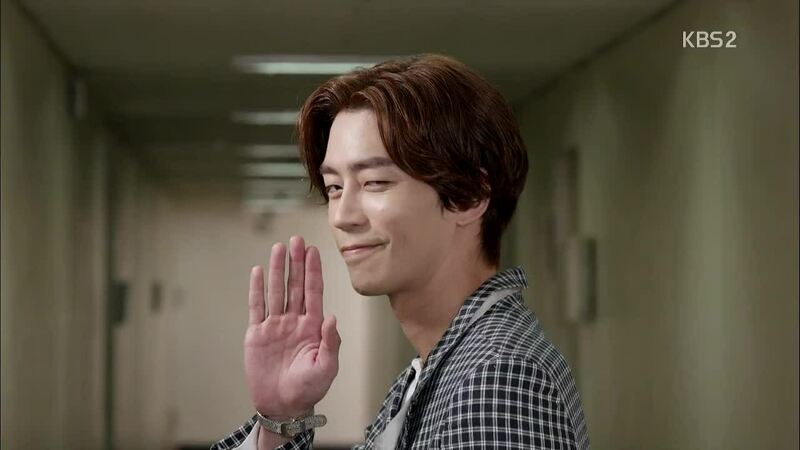 Looking forward to your next drama that you will recap! Thanks again!!! Thanks Joonni for all time, attention and detail that you have put into all your recaps. I can def relate you sticking with a drama because I fall in love with the leads and root for them all the way or because I just love an actor and actress that they just will be to continue.In this case I rooted for CH and JH all the way and they ultimately are kept me interested in the show. Hi thanks Jooni!!! It was great to revisit the recaps – as I think it’s been mentioned before – not the strongest plot – but very engaging leads. I must admit I was one of those who did not like the time jump – BUT – after rewatching and reading recap – it felt organic. JH n CH did not separate to end things but to actually start fresh – after all, wounds were fresh and reconciliation was just beginning for the elder generation, and everybody needed time to reset. CH needed to reconnect with her Dad and her music and JH needed to reconnect with his Mom and his music. After all, besides CH, JH next love was his music and he could not just meander around trailing after CH and just being stagnant in his career. In his normal trajectory, he would have ventured out globally anyway – being the God of Music and all, so the timing was right that he embarked on that course. Also Ch – needed to focus on her music and not all that drama. Plus she wanted to be independent of JH and not base her career on his – so I guess striving out on her own and making it on her terms was necessary and something that is CH. What I loved was the promise of being together as the end game that was the understanding between JH and CH. And the trust the 2 of them had developed for each other and how well they each knew the other was borne out of all that they had gone through together – the good and the nasty bits. Thanks again Jooni and sorry this is so long! !